Just a short walk from Glasgow city centre, Glasgow's Canal is home to some of the best culture, sports and urban nature in Scotland. Just a short walk from Glasgow city centre, Glasgow’s Canal is home to some of the best culture, sports and urban nature in Scotland. From grass-roots art studios and workspaces, to performing arts venues and national cultural organisations, the new and evolving cultural hub on the banks of the Forth and Clyde Canal in North Glasgow is bringing together some of the most creative minds in Scotland. 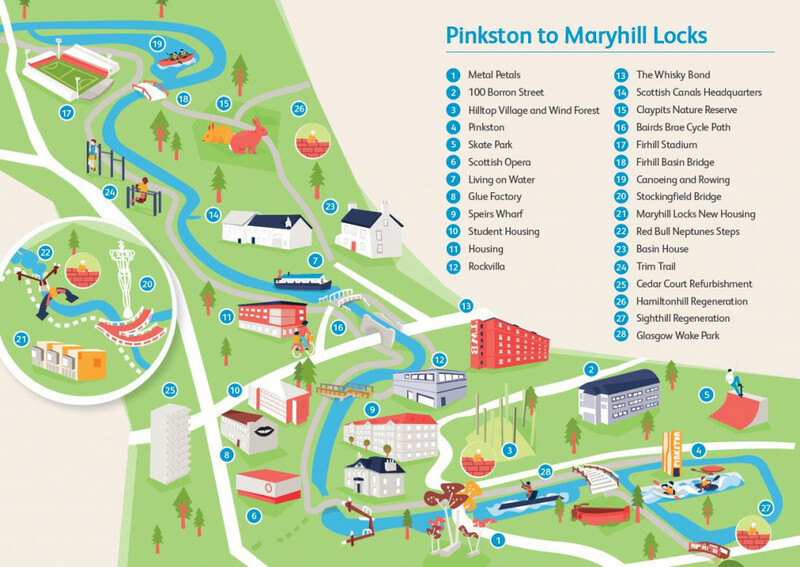 Glasgow’s Canal is also home to a variety of cutting-edge sports activities, from Scotland’s first ever competition standard, purpose built watersports centre, to an innovative canalside fitness trail. More recently, Scotland’s first urban nature reserve has been opened up thanks to the creation of a new pathway through the heart of the Hamiltonhill Claypits. Glasgow’s Canal is also the venue for the annual Glasgow Canal Festival. Explore the tranquil Forth & Clyde Canal, passing through Scotland’s industrial heartland and vibrant green corridors. There's a new and evolving cultural hub on the banks of the Forth and Clyde Canal in North Glasgow. There's many ways to keep active along the canal corridor in Glasgow. Visitors are being urged to discover the wonders of Glasgow’s ‘secret’ nature reserve following the creation of a new pathway through the heart of the Hamiltonhill Claypits. Thousands of people captured some canal magic at the first-ever Glasgow Canal Festival featuring live music, street food, crafts and activities – and the first ever Glasgow Canal Dragon Boat Race! The Glasgow Canal Project is coming to life in new and exciting ways. Real change is taking place around the canal, creating a safe and enjoyable outdoor space, a positive resource which will help to breathe new life and vitality into local communities.